Whilst I'm honeymooning in Japan, I'm going to feature one blog a day that you should read! Today you should go check out Wardrobe Oxygen! A fellow DC blogger, she's got great style and an authentic voice and she just plain rocks. Next in my fashion dog series is Spike of Fresh Jess! 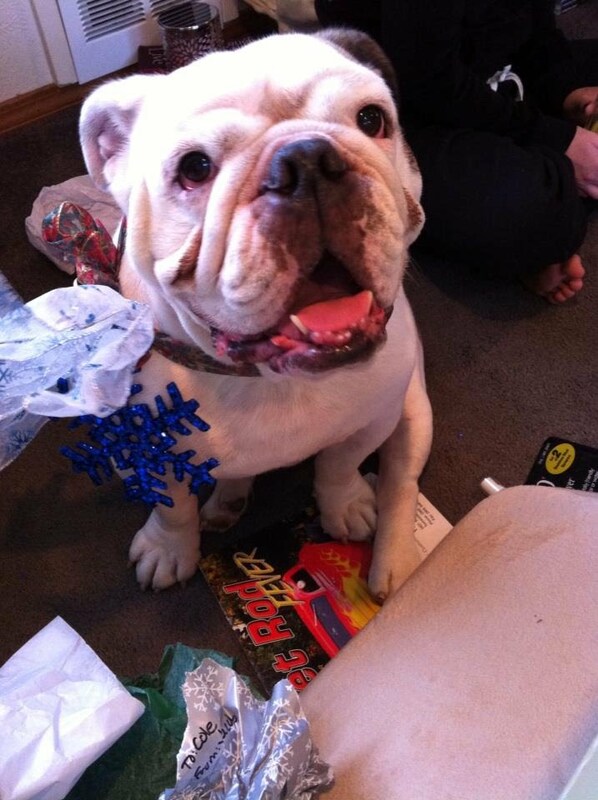 Hes a 4 year old English bulldog adopted from the Bulldog Haven Northwest rescue. He was surrendered after his former parents couldn't afford major surgeries he needed and when they saw him on the Bulldog Haven NW Facebook page - the rest was history! On the weekdays, I pretend I'm asleep until Mom & Dad leave for work. Then I eat breakfast, drink some water, play with my toys, hide my bones around the house, mess up my parents' bed, watch some Animal Planet and lay on my bed looking out the window and judging all the human beings that walk by. I go back to bed around 3pm. When my parents come home, it looks like I've been napping all day! On the weekends I love to go to the dog park and swim in the lake, and just hang with Mom & Dad all weekend long. I try to see my uncles and other human family too, but dog park dates with all of my favorite lady dogs is a must. Does your mom ever dress you up? If you could pick one designer to make dog gear, who would it be? Tom Ford. I'm sure he could make the short and stocky look more handsome than we already are. What's your favorite online boutique to shop for pet accessories? I make Mom buy all my stuff at Smiley Dog, Pet Pros, and Amazon. 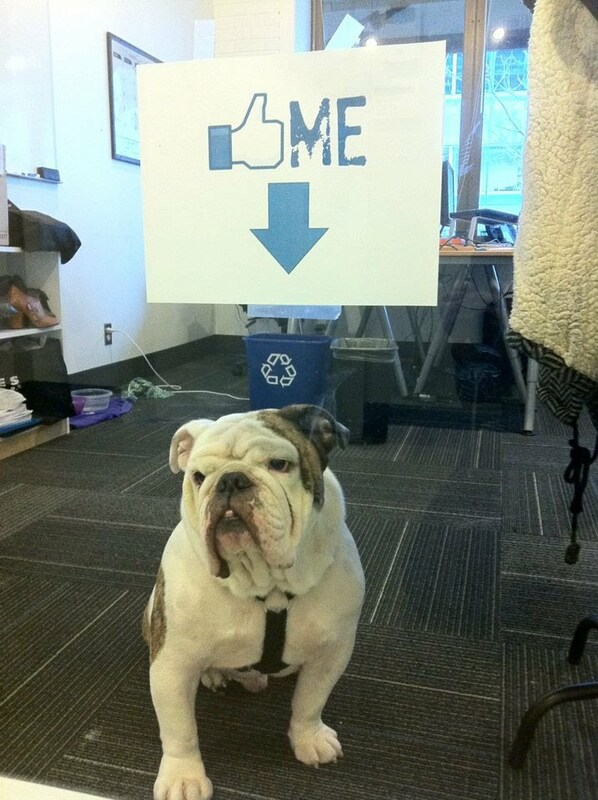 I'm a responsible canine - I support Seattle business! 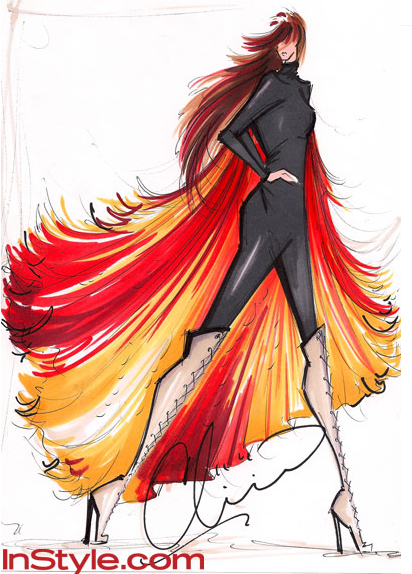 If you could piddle on one fashion trend right now, what would it be? Piddle's a funny word! I guess I'd have to say Crocs. I will never understand Crocs, humans. They're so easy to piddle on! Hooray for rescue dogs! 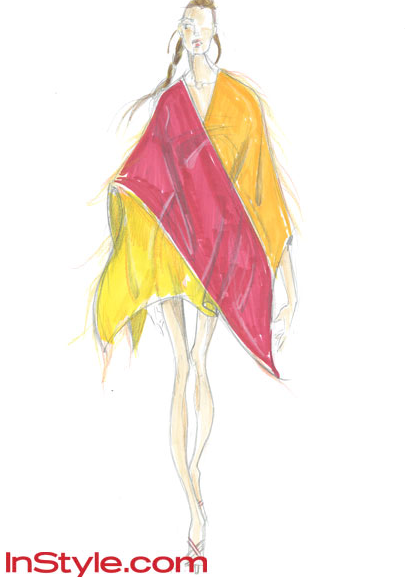 Do you know a fashion dog that should be featured next? Let me know! The jazz era was an inspiration for spring / summer collections, but I get the feeling it will really gear up in the next few months when The Great Gatsby comes out!! 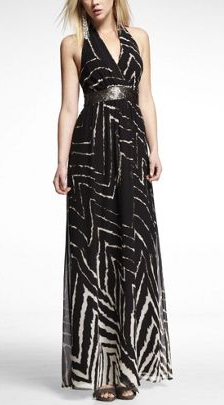 To get the look, search for art deco jwewlry and prints, drop waist dresses, embellished lace, and flapper fringe! Here are a few pieces to get you in the mood! With all my travel going on, I've found myself feeling lazy for every day work. What's the point of getting dressed up if I'm not in a different time zone?? But I recently decided to rock some spring nautical and wanted to share! Even though I'm wearing sailor pants and stripes, the look is surprisingly subtle - I was worried it would be costumy. I suppose it's because the pieces are such dark neutrals? I'm wearing: Espirit sailor pants, striped blazer from ModCloth, yellow tank courtesy of LOFT, red Zara shoes, blue South clutch from the Whitney Eve F/W '12 show gift bag, necklace and sunglasses from Urban Outfitters, bracelets from Juicy Couture & CUSP, stacking rings from Banana Republic, wedding band by Tina Tang. Ahoy matey! You can always count on nautical chic for spring! I was at Gap last night buying socks and undershirts for the Mr when these boyfriend shorts caught my eye! 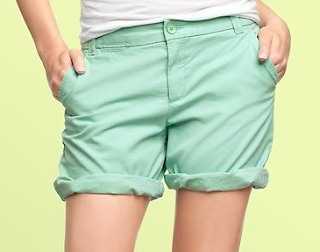 Available in tons of great colors, including mint, lavender and pink, they're just $40 and come in petite and tall! 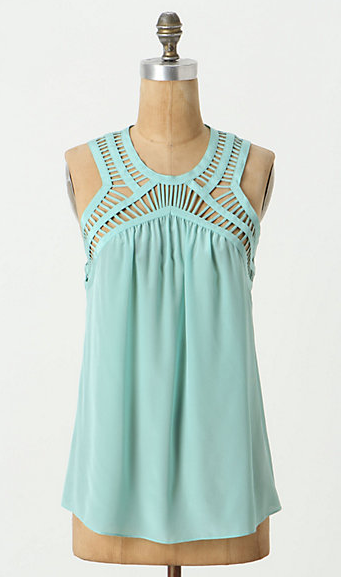 I ADORE the sea foam color of this tank, and the cut out lattice detailing on the neck is tres bella! 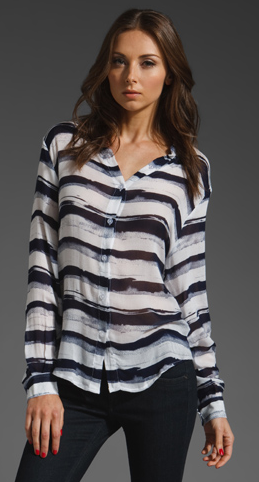 Buy at Anthropologie for $188 and pair with white jeans, a lavender scarf and some strappy sandals! Melissa, the company that makes fabulous and comfortable PVC shoes perfect for wearing in the rain, has collaborated with Jason Wu. 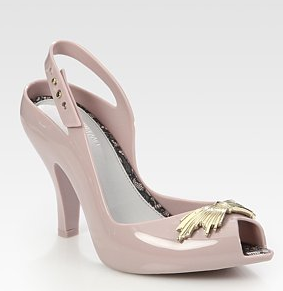 One of the results is this adorably elegant pair of slingbacks in pale pink. Soooooo perfect, it makes me almost wish for rain. 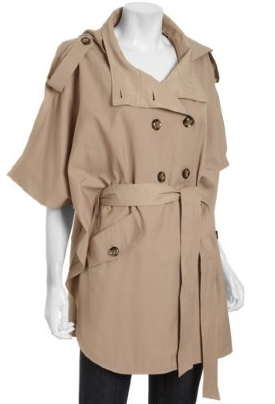 Available for $176 at Saks. I'm obviously in a summer state of mind today! 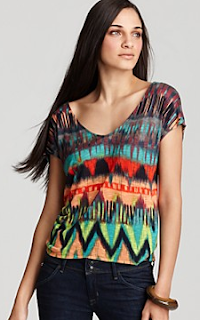 Love this ikat print tee, which is starting to sell out in both colors at Ella Moss for $88. 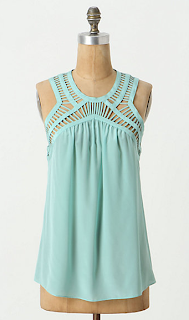 Love it paired with a breezy white skirt and flat, jeweled sandals! It feels wrong to be posting a summery maxi dress when it's so brisk out, but I love this tribal, almost zebra-esque print! And it's an affordable $108 at Express too! I am dressed in what will either be the most sensational or the deadliest costume in the opening ceremonies. I'm in a simple black unitard that covers me from ankle to neck. Shiny leather boots lace up to my knees. 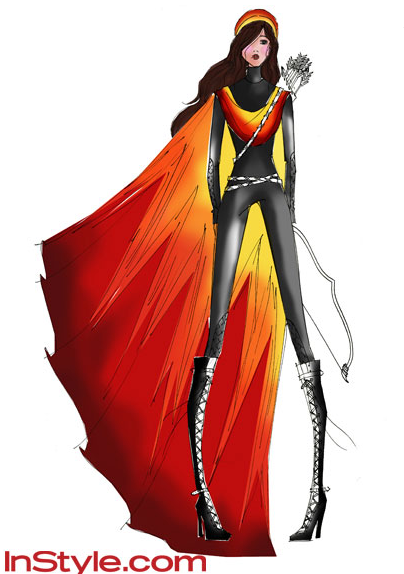 But it's the fluttering cape made of streams of orange, yellow, and red and the matching headpiece that define this costume. 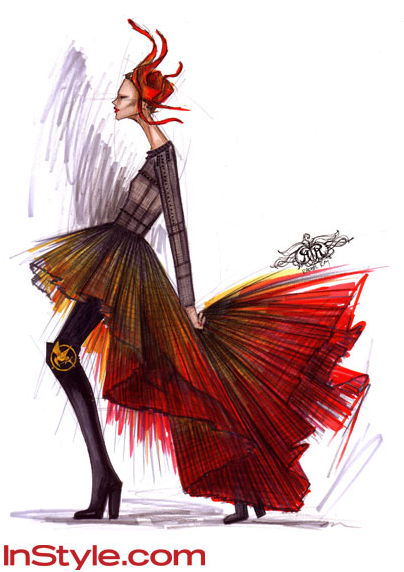 Cinna plans to light them on fire just before our chariot rolls into the streets. 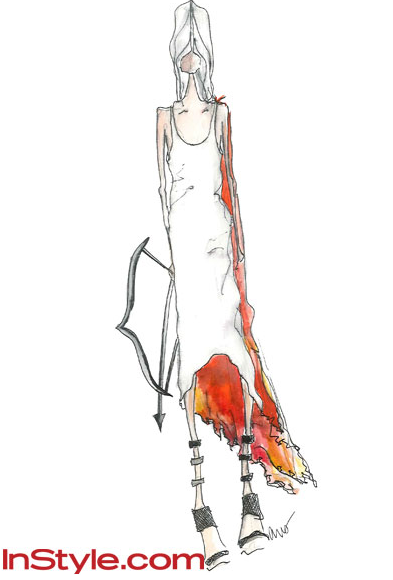 Check out some of the killer looks and see the whole set at InStyle. If you follow me on Buyosphere, you may have noiced I'm obsessed with finding cap toe shoes!!! 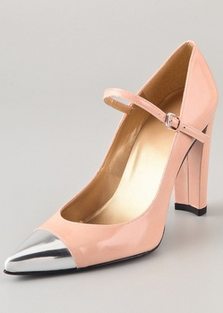 Love the pink and metal cap on these mary janes, but I just can't afford the $365 price tag... right now! 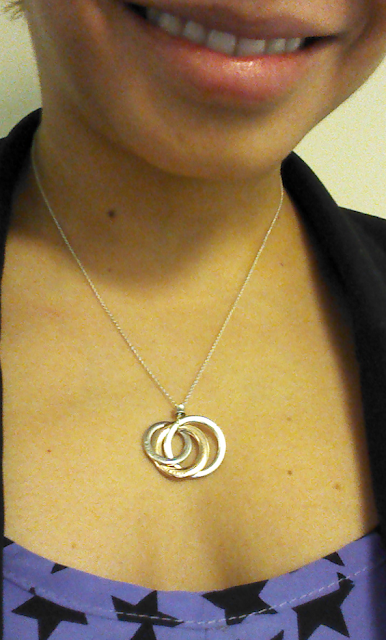 Filing away this ShopBop link for a splurgy day! You'd think backpacks would come into style when school's back in session, not on its way out! But a super functional and chic way to tote your items, the backpack is perfect for summer festivals and bike riding! Here are a few standout ones in a huge range of price points available now!